For Big Rigs, Light & Heavy Duty Trucks, Trailers, Motor Homes & Coaches - Shipping Nationwide from Dallas / Ft Worth TX. The Right Dually Wheels/Truck Rims at The Right Price. Find quality custom wheels and tires here. 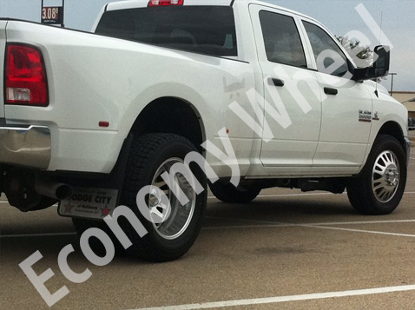 We are an online wheel, rim, and tire source owned and operated by Economy Auto Sales, located in Weatherford, Texas. 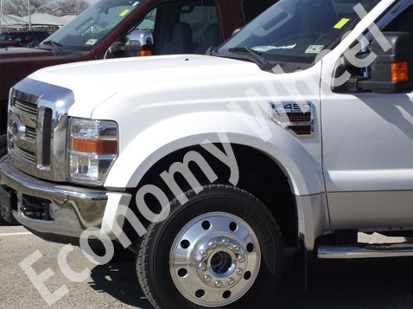 Economy Wheel specializes in ALCOA WHEEL PRODUCTS and custom wheels for light and heavy duty trucks, trailers, RVs, motor homes, coaches, and big rigs. Economy Wheel is here for you. We offer a variety of ALCOA and specialty wheels and tires to fit your vehicle and are prepared to work with you to make sure you have the perfect wheels and tires for your needs. Our staff work with both private buyers, trucking companies, trailer builders, and motor home businesses. 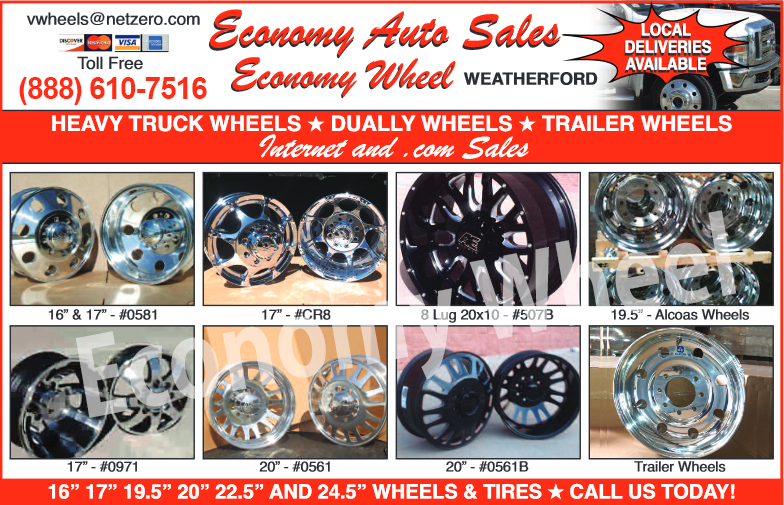 Find dually wheels, truck rims and new trailer tires from our business in Weatherford, Texas. After being in the Auto industry for 28 years, in 2002, we decided to offer custom wheels, and accessories. We've sold over 850 sets (over 3000 wheels) on Ebay with a 100% positive rating for product satisfaction and prompt delivery and decided to open an online business of selling quality wheels and tire products for trucks, trailers, RVs, motor homes, and coaches, specializing in ALCOA WHEELS. We know you will enjoy your purchase and experience with us. Our business is known for providing reliable delivery services and our great prices. IF YOU DON'T FIND WHAT WHAT YOU'RE LOOKING FOR, PLEASE CALL US TOLL FREE AT (888) 610-7516. IF WE DON'T HAVE IT, WE'LL WORK HARD TO GET IT BECAUSE WE WANT YOUR BUSINESS. 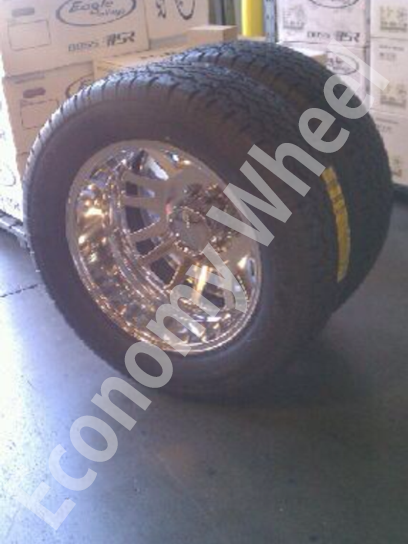 Call Economy Auto Sales for the best in custom wheels, rims, Dually tires and Alcoa wheels. We carry 16, 17, 19.5, 20, 22.5 and 24.5 inch rims. Click Here to visit our online tire shop! 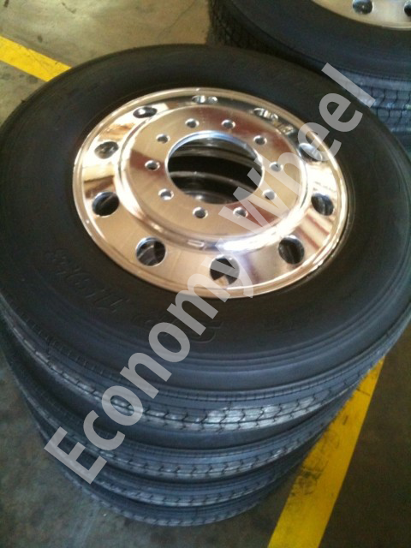 Economy Wheel provides: Custom Wheels, Rims, Truck Tires, Alcoa Wheels, Dually Wheels, Semi-Truck Wheels, Accuride, American Eagle, For Big Rigs, Light & Heavy Duty Trucks, Trailers, Motor Homes & Coaches - Shipping Nationwide from Dallas / Ft Worth TX.